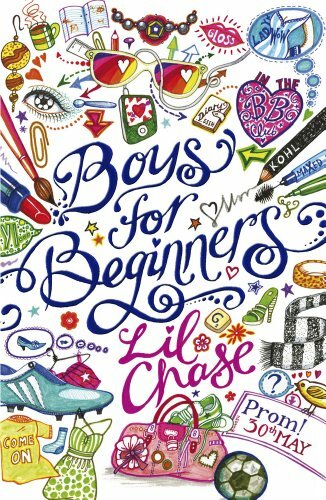 I am pleased to be able to share with you an extract from Boys for Beginners. I can’t tell if Jenny’s being honest, or being nice. Or maybe neither. ‘Hi Jenny.’ I just about get the words out. I hope no one can see how red I’m going under all this make-up. I don’t know if I feel like a supermodel or a five-year-old, but I let Jenny lead me over to the BB Club because I am totally out of my depth here and she is slap bang in the middle of her depth. The BB girls are standing in their usual space: leaning against the railings of Beckett’s Park. I’ve got shooting pains all up and down my left arm: the first sign of a heart attack. ‘Hsma, waa, ngag,’ I say, coherently. Charlie Notts said that I look good! I don’t give a damn if this heart attack kills me, my life is complete. It couldn’t get better unless I was signed for Tottenham. I was worried about the make-up, but Jenny is making this out to be a good thing. ‘The critics might disagree, but size zero is still so in right now,’ she continues, as if evaluating some piece of modern art. Wasn’t there an artist who tried to pass off elephant dung as a masterpiece? That’s what I feel right now. Whatever Charlie says now is going to be the most important thing he ever says ever. He will either finish me off, or make me float. I didn’t see Paul arriving at the bus stop. I am worried what he’ll say about how I look, but I also want to spend every second with Charlie, so if Charlie is going to talk to Paul then I am too. Jenny drags me away and we leave Charlie stranded. Jenny is going to teach me so much about being a girl. We get to where the BB Club are standing and I feel almost as nervous as I did when I was approaching Charlie Nott. Jenny takes the lead. Kimba pulls her bitchy face, which she does so often it’s become her normal face. She looks me up and down and says, ‘She doesn’t have her belly-button pierced, so she can’t. Sorry Gwynnie.’ She doesn’t really look sorry at all. ‘But’, says Melissa, ‘as Gwynnie herself once said, we don’t want to include even more members that haven’t got their belly-buttons pierced. People might start thinking we’re idiots. I have to fight back the urge to say what needs to be said. Yesterday’s Gwynnie wants to kick Today’s Gwynnie in the bum. But Yesterday’s Gwynnie wasn’t called really nice-looking by Charlie Notts, so who gives a flan about Yesterday’s Gwynnie? ‘Actually Gwynnie was quite rude about the whole thing,’ says Melissa. 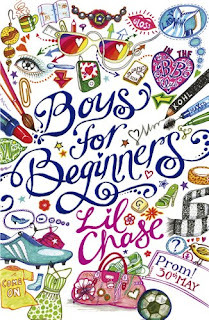 Will Gwynnie ever manage to get Charlie to see her as more than just a great football player? And why is Jenny so eager to help her? Can Gwynnie turn her back on her footie-playing past? And will she ever learn to master those lash-curlers? The Belly Button Club? LOL that sounds funny and Gwynnie sounds a bit like I used to be around the guys. Sounds like a really fun read. I enjoyed the excerpt.